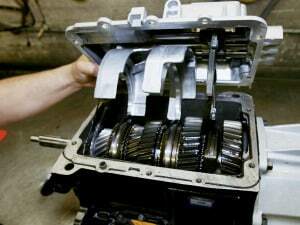 We specialize in transmissions, transfer cases and differentials. We’ll rebuild, repair, and/or install your differential. If you need a new one, we can also get you used or rebuilt differentials. All of this is backed, as always, by Arizona’s best transmission warranty. At 3 years or 36,000 miles, it’s literally the best in the state. Just ask around. No one else offers what we do. That’s how superior our service is! That’s why we back it up so strongly. We also honor any extended warranties you may have. Be sure to grab your coupon for 5% up to $100 off major repairs, instantly. And if you need free towing (up to $150 value) with major repair services, we’ll get your vehicle here so we can make it hum for the rest of its days. We serve the entire Phoenix Valley, so we know that you’re often not right around the corner. We’ll give you a lift.